Balinese cats are similar to the Siamese in both looks and temperament, but are differentiated by their longer fur and plumed tails. The origin of the Balinese breed is unknown. The most plausible theory is that it arose due to a spontaneous mutation in a Siamese cat that produced longer fur, though some believe that the long-haired gene was acquired through cross-breeding Siamese cats with Turkish Angoras. 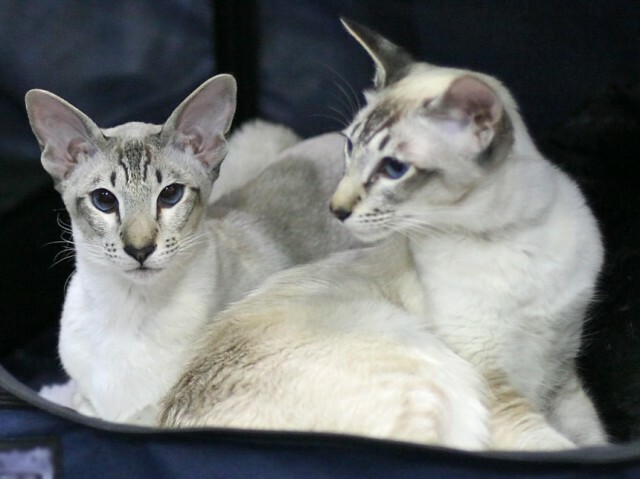 While longer-haired kittens popped up in pedigreed Siamese litters from time to time in the past, the Balinese did not attract the interest of breeders until the mid-1900s, when efforts were made to formally establish the breed. Balinese breeding stock is still limited, and Balinese cats are often cross-bred with Siamese cats. The long-haired gene is recessive, so a copy of the gene from each parent is required to produce a long-haired Siamese. A cat that carries just one copy of this gene will have short hair. The Balinese acquired its name because it was thought to resemble a graceful Balinese dancer. Balinese cats have an elegant, aristocratic appearance, with their svelte bodies and silky coats. Dainty and slender but also muscular and lithe, these cats have long legs, tails, and bodies. One of the Balinese’s most distinctive features is its luxuriously plumed tail. Because the Balinese does not have an undercoat, the medium-length fur lies flat against its body and flows backward rather than fluffing outward like that of a Persian, making the coat look shorter than it really is. Balinese cats do not shed as much as other long-haired cats, and they require far less grooming. The Modern Balinese has a long, triangular face with a pointy chin and slanted eyes of a brilliant blue. Ears are wide-spaced, large, and sometimes tufted. The Traditional (Applehead) Balinese cats, like the Traditional Siamese, have rounder faces, smaller ears, and stockier bodies. Like other cats with point markings on the face, ears, paws, and tail, Balinese kittens are born with coats of a uniform off-white colour and their markings come in over time. Environmental temperature determines how dark the points will get. Colder climates create darker points, whereas warmer temperatures cause lighter points to develop. Colour changing in pointed cats is actually a form of albinism. A mutated gene causes a temperature-sensitive enzyme to produce pigmentation. In utero where it is warmer, the enzyme is not triggered, but once the kittens are born, pigmentation occurs in the extremities, as these areas are slightly cooler than the body’s core temperature. The Balinese is similar in temperament and behaviour to the Siamese, although its voice is usually quieter and it is not quite as vocal. Like the Siamese, Balinese cats are extremely intelligent, and tend to be demonstrative and affectionate. Loyal and sociable, they like to stick close to their owners most of the time. Among the more active breeds, the Balinese is agile, athletic, and acrobatic. Balinese cats love high places and are good climbers and leapers, so carpeted cat trees are appreciated. Due to their insatiable curiosity, Balinese cats also like to explore enclosed spaces. Clever and dexterous, they can usually figure out how to open doors, gaining access to cupboards and closets. Balinese cats are sensitive to rough handling, so children should be taught to hold and stroke them gently. If properly treated, Balinese cats are usually accepting of the bustle and noise associated with young children. Most Balinese are unforgiving of mistreatment, however. With their long memories, they are unlikely to warm to anyone who has deliberately abused them, even if that individual tries to make amends later on. 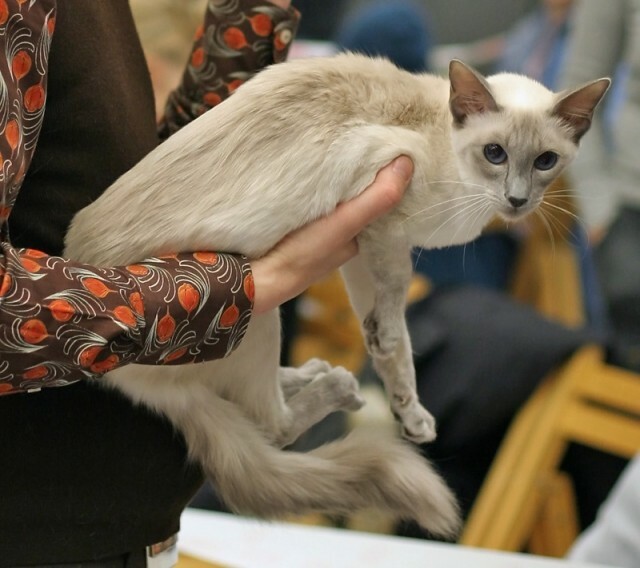 Most Balinese cats adjust well to other pets and often end up as the dominant animals in any group, though they usually aren’t inclined to abuse their power. Because they are so outgoing, these cats require constant companionship. The Balinese is not a good choice for households where everyone is frequently away from home. If obtained from a reputable breeder, there are few genetic health problems associated with the Balinese. They do share with their Siamese counterparts a tendency toward gingivitis and cardiomyopathy, but a little preventative dental care and adopting from a legitimate breeder will reduce the likelihood of problems. Prices of Balinese kittens vary depending on markings, bloodlines, and other factors. The cost of Balinese kittens is around $300-$500 for pet quality animals, and $650-$2,000 for show quality. Those who wish to save money and provide a home for an adult Balinese cat in need should contact a Balinese Cat Rescue organization. Case, Linda P., & Helms, Kerry. (2003). The Cat: Its Behavior, Nutrition, & Health. Ames, IA: Iowa State Press. Continental Balinese Club (posted on the Cat Fanciers’ Association website). (4 August 2003). 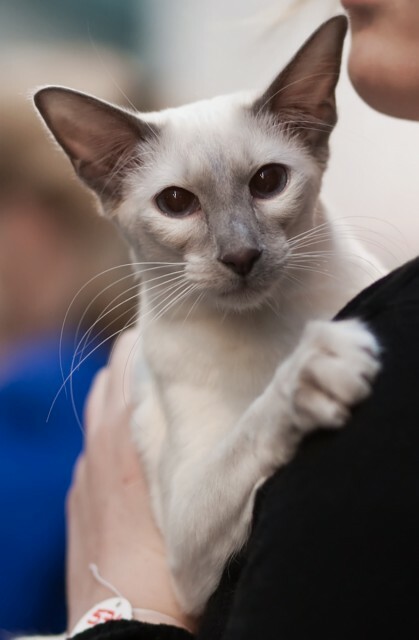 “Breed Profile: Balinese.” CFAinc.org. Dunaway, Diane (2002). “Traditional Balinese Breed FAQ.” BalineseCat.com. Dunaway, Diane (2000). “Traditional Balinese Cat Temperament and History.” BalineseCat.com. Helgren, Anne J. (2009). “Choosing a Balinese.” PetPlace.com. The Balinese Cat Society. (1 June 2007). “What is a Balinese?” Rantipole.demon.co.uk.